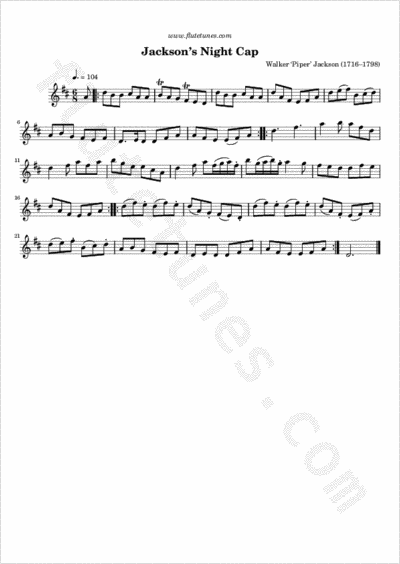 This jig was composed by the famous 18th-century gentleman musician Walker ‘Piper’ Jackson, of the townland of Lisduan, County Limerick, Ireland. Jackson was one of the first Irish tune composers to have had their music published. “Jackson's Night Cap” was part of the 13 compositions that were published by Samuel Lee in Dublin in the circa-1774 booklet Jackson's Celebrated Irish Tunes.